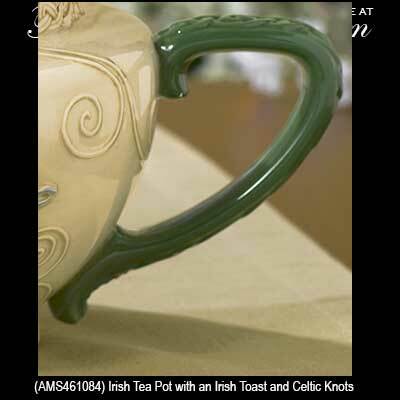 Does this teapot with Celtic knot-work have an Irish toast or does it have an Irish blessing? Either way it is good for a laugh. 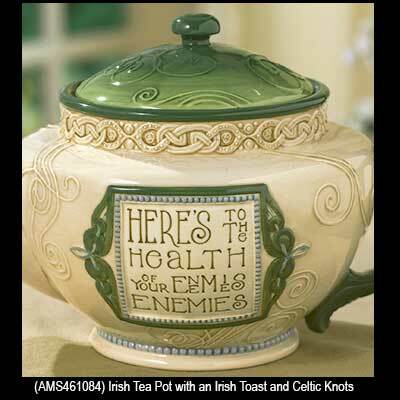 The Irish toast on this tea pot says, Here’s to the health of your Enemies’ Enemies. 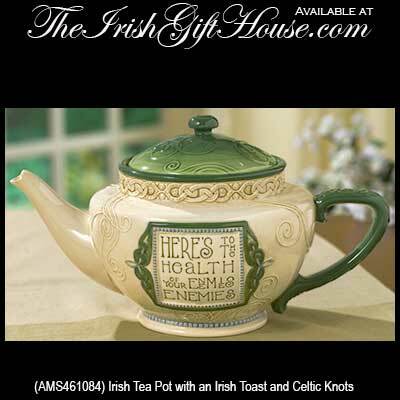 This fully functional Irish teapot features an Irish toast along with Celtic knot-work and it is a great way to steep your tea and to keep it warm. The Celtic teapot measures 7" tall x 11 1/2" wide and it holds 56 ounces. It is made of dishwasher and microwave oven safe ceramic and it is gift boxed with a Celtic knot history card that is complements of The Irish Gift House.